Just the name of this beetle was enough to arouse my interest. 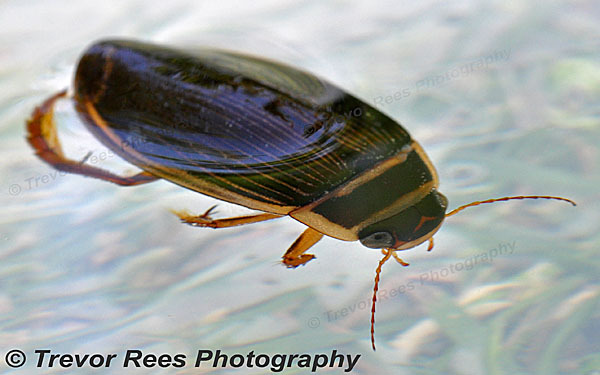 A great diving beetle (Dytiscus marginalis), from the surface of a garden pond. This is a female, identified by the furrowed lines on her wing case. At over 1 inch long these are big beetles - the largest in the Dytiscidae family. Breathing air means they need to surface periodically. Air can be stored underneath the wing case but this makes them positively buoyant so they need to swim hard to get down.